I’ve been a product design engineer for nearly 20 years and I know firsthand how hard a hardware startup can be. Still, attending the two-day Hardware Workshop that recently came to Seattle was an eye-opening look at all it takes, end to end, to make and launch a successful hardware product. As a technical expert I’ve been sheltered from much of the business, marketing, and soul selling it takes to make a company successful. Entrepreneurs going into hardware face a hefty learning curve, and it often shows. We see clients stumbling over details all the time — maybe they’ve overlooked tasks that end up costing them late in development, or they haven’t considered certain regulations, or they haven’t done their due diligence researching patents. Marc Barros, founder of hardware startups including Contour and Moment, started the Hardware Workshop in 2013 as a side project to create an accessible resource that helps founders avoid these kinds of missteps. It’s an opportunity to learn face-to-face from people who’ve spent considerable time in the trenches. About 70 audience members ranging in experience attended the one I went to in Seattle. Some had a napkin sketch of a concept; others were actively selling a product and looking at extensions. Entrepreneurs going into hardware face a hefty learning curve, and missteps can end up costing them later in development. I encourage anyone whose next product is hardware to look it up! As an engineer I know the importance of familiarizing yourself with every detail of a complex process before you can begin to simplify it. These two intense, information-packed days will get you pretty close to understanding the complexity of hardware development and hopefully won’t scare you away. 1 – Think Through Your Pre-Order Campaign. Launching a pre-order campaign is a ton of work and you have to think through every aspect, as our own Tom Murray, a two-time Kickstarter success story, enumerates in his post, I Got Kickstarted and Here’s What I Learned. So why put yourself through it if you already have money? 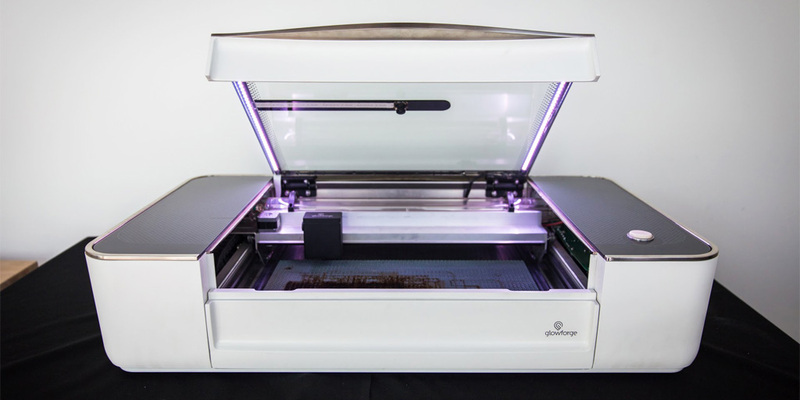 In his presentation, “Launching a Product,” Dan Shapiro of Glowforge told us he and his team had already raised $9 million in Series A funding for their next-generation laser cutter (pictured below). Their crowdfunding campaign was about more than raising funds. As Shapiro’s co-founder Tony Wright told The Macro, it was as much about testing the market and building a community of users to provide feedback. Once they decided to do it, they created their own platform and built in a referrals-based funding campaign that saved them a lot of money and brought a lot more users into their feedback loop. They did nearly $30 million in 30 days, confounding everyone’s expectations — themselves included. This is a product whose basic model costs more than $2,000 dollars. About 30 percent of that can be credited to the referral program. Takeaway: There are other reasons besides money to launch a pre-order campaign, and there are other ways to do it besides Kickstarter, Indiegogo, Crowdfund, and others. 2 – Make a Lot of Prototypes for a Lot of Reasons. 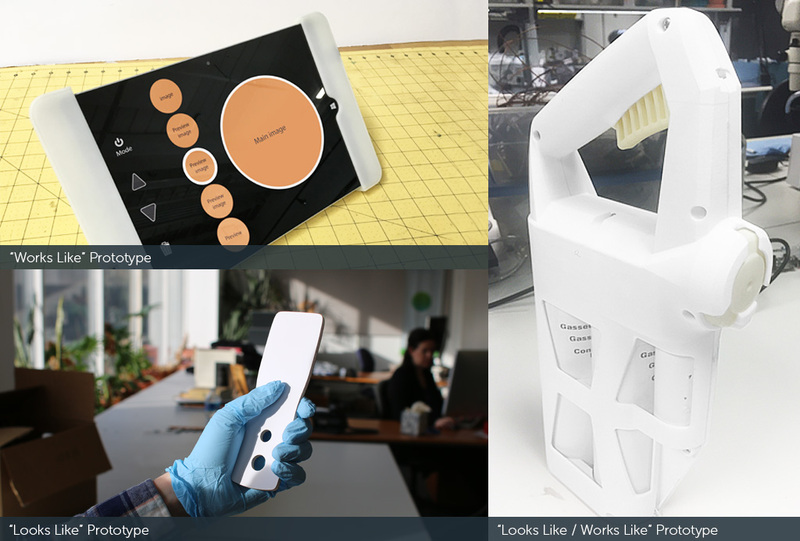 A common misconception about prototyping is that you need one complete, working model to present to people, but there are many different levels (or fidelities) of prototypes that are needed at different parts of the process. 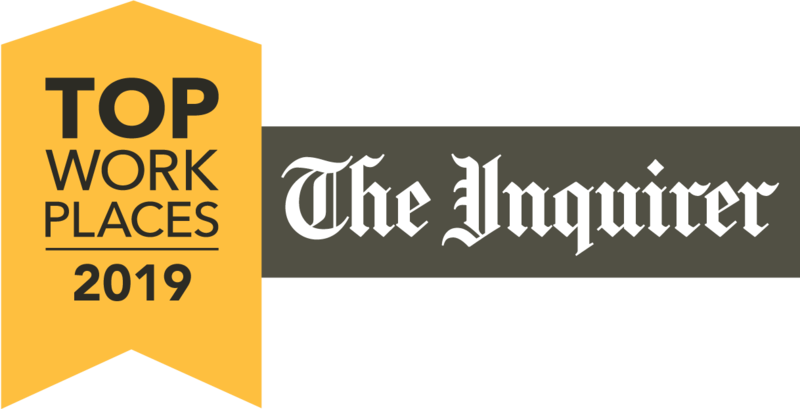 Our Director of Engineering, JD Albert, has written about this several times. Check out his post, The Six Prototypes Every Startup Needs To Make, and his article, To Attract Funding, Develop A Prototype. How do you know which type to make and when? Kate and Bret Richmond of Synapse spoke in detail about this in their presentation, How to Prototype. The answer depends on two factors: what you’re trying to learn and who you’re trying to impress. Pinpoint your intent and you’ll know whether to make a “looks like,” “works like,” or a “looks like/works like” prototype. The Richmonds walked us through several prototyping case studies from their firm, Synapse, that included schedules for how long it took to design + build and test + validate — anywhere from 7 to 13 months. Takeaway: Prototypes are probably your most valuable development tool — learn about all the different types, then build them early, and test often! 3 – The Front End is Everything. Ben Einstein of Bolt presented his “Illustrated Guide To Product Development” that, luckily for everyone, is available online. Einstein is an amazing speaker — passionate, really knows his stuff, and you can tell he’s gone through this process many times. Bolt is an incubator and seed-stage fund that invests in hardware startups. It helps companies with expertise, personnel, and equipment in addition to capital. Ben Einstein’s hardware development process. It’s vital to start the hardware process by pinning down product/market fit. To do so, you need to talk to your potential users to help clearly define the problem your product is solving. This requires a fair amount of research before you even start developing. 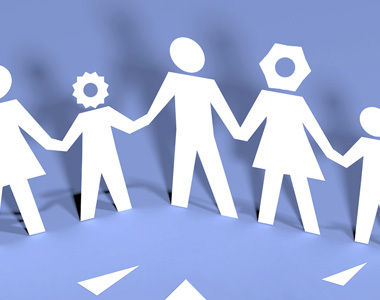 Create user personas that reveal your users’ motivations and frustrations. 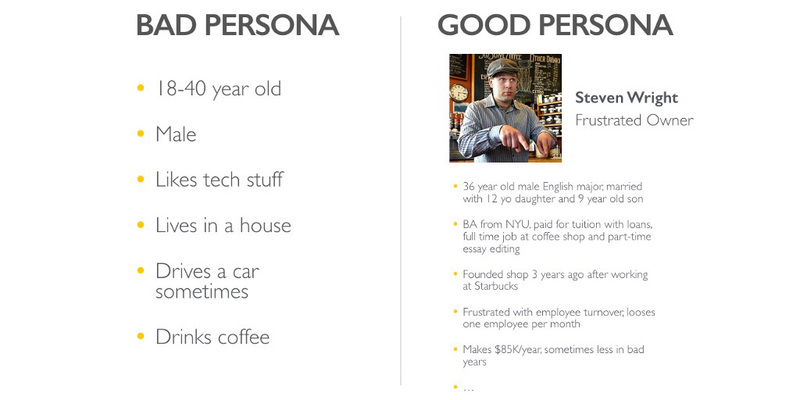 Create user personas that tell a story. For example, “35-year-old male with 100k income” is not a user, it’s a demographic. You need to document more granular info about your users — why will this guy use the product? What are his frustrations? His successes? His motivations? His potential barriers of entry? These personas will become useful again when you’re validating your concept. It’s easier to test something you’re clear about. And as a bonus they come in handy yet again when you go for funding. No story is complete without a protagonist and a conflict— and the clearer the problem, the more convincing the solution. There were other presentations that grabbed my attention, particularly the ones that are outside my areas of expertise. Eric Klein of Lemnos Labs gave a talk called “Funding a Hardware Startup” that was bewildering and fascinating. It was great to see the funding mindset from the other side of the table. His point: Everyone wants to be a mama bear company (read: really big! ), but sometimes it’s better to remain a baby bear (small, but very successful). You don’t have to be a big company to be a valuable one. Don’t stretch your vision and your product to get the attention of VCs, who really only look at companies who are going to scale quickly to $100 million dollars to raise profits for their funds. It’s difficult for hardware startups to scale quickly to hundreds of thousands of users. 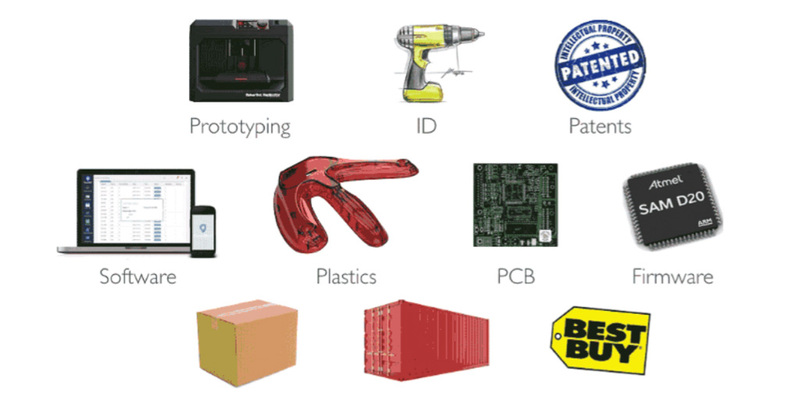 Unlike software, hardware startups need to consider supply chain and other factors. Lastly, “Building Press Relations” by Bailey Nelson of Glowforge, was astonishing. I can’t imagine doing all the work it takes to get the necessary attention from the press. Who even knew you needed to get press attention, I thought it was all viral or organic (I just call it magic). Which leads to my final takeaway after two days of presentations: It takes a lot of people and a lot of different kinds of expertise to make a hardware product — and holy cow, I’m so glad I’m an engineer! If you are a budding hardware startup, do yourself the favor and get into one of these hardware workshops and learn from the pros! Mark’s been running projects for most of his career, interfacing with clients, engineers, designers, and manufacturers from concept through launch. 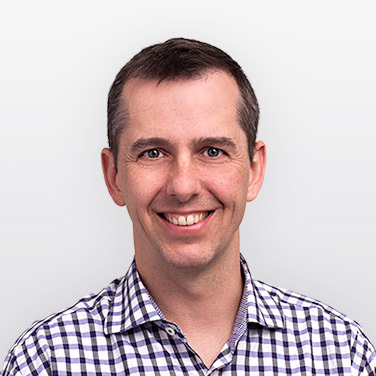 At Bresslergroup he relies on his extensive experience to help clients avoid pitfalls and find creative ways to accelerate the product development process.